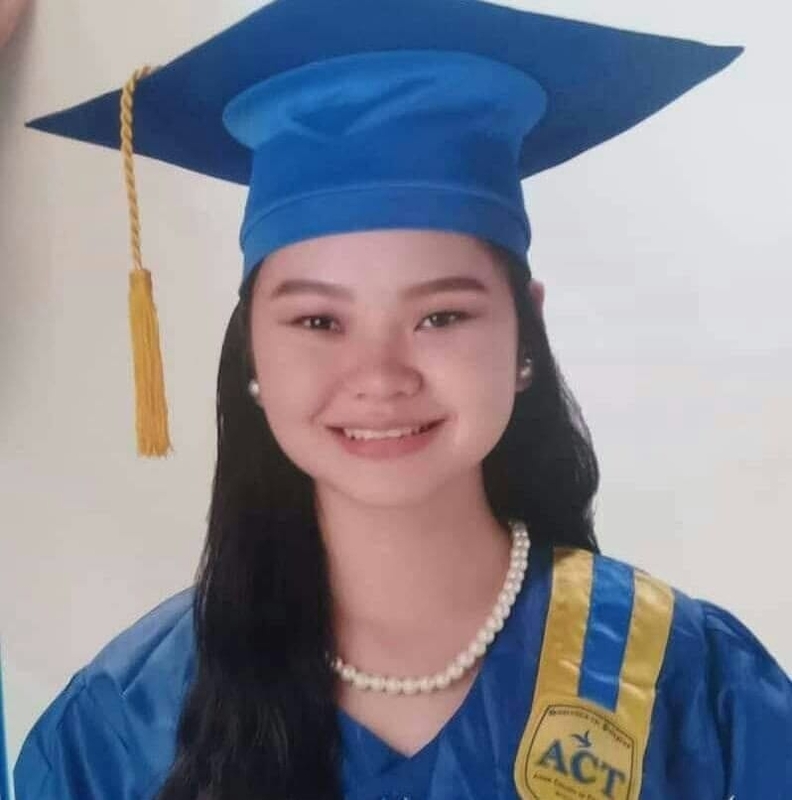 Allyza Tecson would have graduated from senior high school with high honors in Cebu City, but her dream was cut short when dengue snuffed her life out just a few days shy of her graduation day. The 18-year-old girl is a senior high school student at the Asian College of Technology – Bulacao Campus in Cebu City. She dreamed of becoming a flight attendant in the near future, but she contracted dengue early in March. 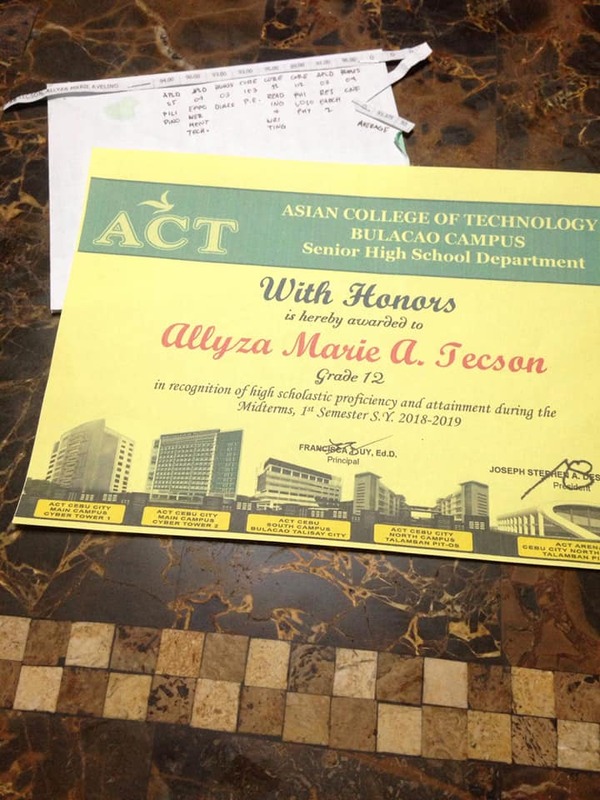 Determined to graduate, Allyza pushed herself hard and was even still completing some of her projects even while she was confined at the hospital. But after spending a week at the hospital, the young lady could no longer hold on. 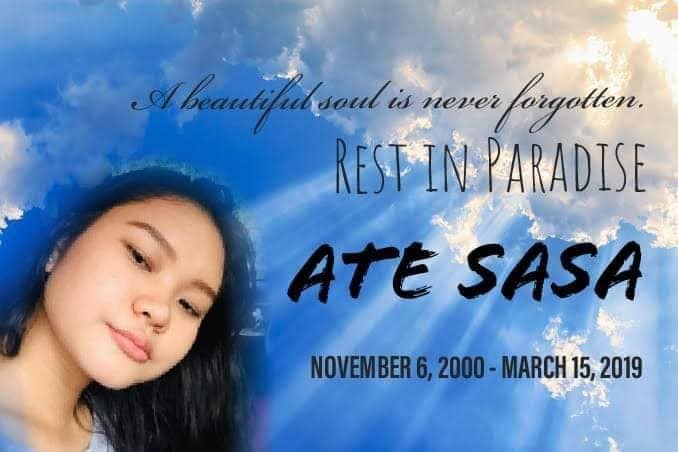 Her father, Art Tecson Jr., an overseas Filipino worker (OFW) was still at Saudi at the time and would constantly ask the family to make video calls with him, to update him of Allyza’s situation. “During the time (when) she was being revived by the doctors, I had my family put me on video chat so I can see my daughter. I kept saying, lumaban ka anak. Please, wag mong iwan si papa. But then I saw how weak my daughter was and finally said to her, anak give up na tayo. 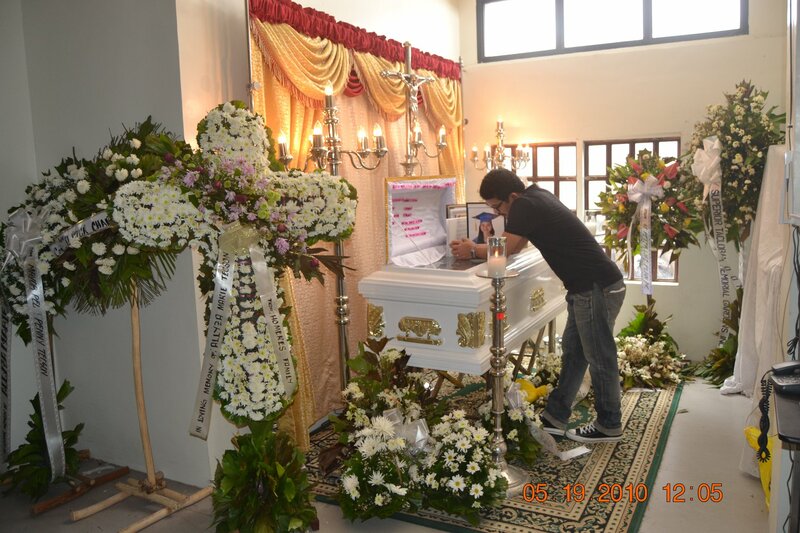 Pahinga ka na,” the grieving father revealed. Art arrived in Cebu City on March 21, three days before she was scheduled to be laid to rest forever. 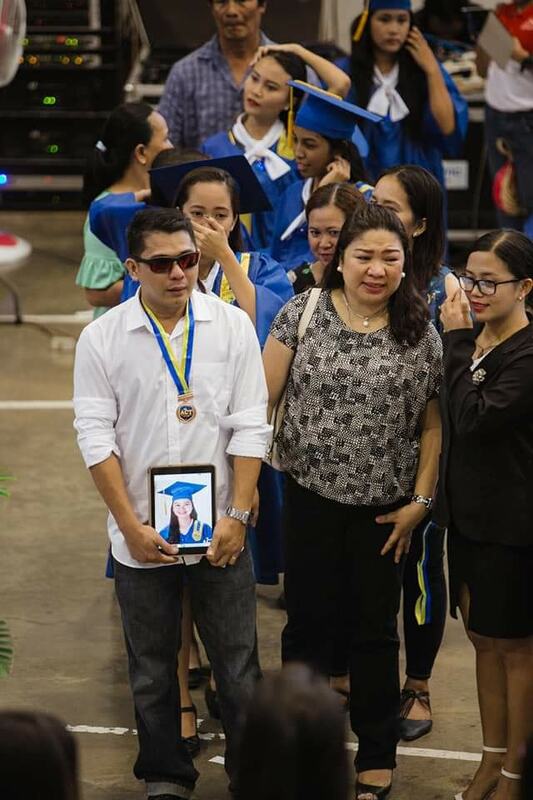 Knowing that she was determined to graduate, the grieving father attended her Graduation Day. There was no dry eye at the ceremony that day as Art walked up the stage together with Allyza’s aunt, his elder sister Maureen Tecson Dakay, to receive the late student’s diploma and medal. Art held Allyza’s framed graduation photo and would later wear the medal for her. It was heartbreaking. What’s even sadder is that this was not the first time he lost a child as his 6-year-old daughter had also lost her battle to sepsis just 2 years ago.